Tech and crisis communications experts have warned that Facebook is no longer living up to its brand values and Mark Zuckerberg should step down as chairman and take responsibility for its latest PR disaster rather than blaming communications. The New York Times’ explosive revelations that Facebook hired Definers Public Affairs to run smear campaigns against critics and rivals has sparked a global PR crisis. It has also cast a dark shadow over the company’s leadership and how well key figures live up to Facebook’s brand values and mission statement. Unlike previous scandals that Facebook has batted away, experts agree that the social media behemoth is in a far more precarious position this time around. In July, its stock soared to a record high of $217.50, while at the close of trade yesterday Facebook’s stock price had slumped to $132.43. This amounts to a 39% drop in market value in four months and an 8% dive in just a week. Communications experts broadly agree that the company’s reputation as a force for good has sunk even further and may prove harder to restore. A bugbear is how the company blamed its comms team for hiring Definers, with outgoing vice-president of communications, Elliot Schrage (who announced he was leaving in summer), taking the rap – a move that some have described as "jumping on a grenade" as he walks out the door. In an internal memo leaked to TechCrunch a week after the scandal erupted, Schrage defended the use of dirty tactics more commonly associated with political campaigning and completely at odds with Facebook’s brand values of being "open" and "bringing the world closer together". Facebook’s new head of global affairs and communications, Nick Clegg, has been tasked with investigating all of the company's consultant relationships – a move that could dig up more skeletons – and drafting new principles and management processes to better manage dealings with lobbying firms. In the first half of 2018, Facebook spent $7m on lobbying – a record half for the company. The former deputy prime minister and Liberal Democrats leader is no stranger to lobbying; in 2004, he worked at PR firm GPlus. One of his colleagues at the time was GPlus partner Michael Tscherny, who described Clegg as "thoughtful, persuasive and articulate" and certainly up to the enormous task that lies ahead. "He is truly interested in the impact of new technologies and social media on society. He would be an asset to any organisation faced with increasing scrutiny of its operations by government, the media and civil society," he told Campaign sister title PRWeek. "[But] he’s got his work cut out at Facebook. They have realised in Silicon Valley that closer oversight of platforms like Facebook is looming – and clearly it wants to be a subject in the discussions and not a mere object of whatever regulation might be on the horizon." Tscherny believed the appointment of Clegg, who has deep connections in Brussels and an intimate understanding of the European Union political process, shows that "[Mark] Zuckerberg and [Sheryl] Sandberg have understood the regulatory power yielded by the EU, but also its national antitrust and data protection authorities". Pagefield chief executive Oliver Foster said the appointment of Clegg could be a "savvy move that underpins Facebook’s commitment to change". At the very least, Foster argued, Clegg will be a skilled EU operator that can help Facebook navigate "potentially very damaging regulatory threats", such as the onset of EU regulation, Brexit and the possibility of a UK digital service tax. Other PR chiefs and tech PR experts are less optimistic about Clegg’s potential impact and critical of the way Facebook has handled the crisis. Lansons chief executive and co-founder Tony Langham said that Facebook is "currently not living its own brand values, which is a dangerous place to be in". "It is actually trying to take over as much of the lives of the people of the world as it can. But this is not what it says it is doing," Langham said. "The world, particularly the EU, is about to respond with draconian measures, including punitive fines. The company has a very small window of opportunity to save itself and rediscover a purpose beneficial to society." Langham believed that Clegg will only be effective if he is able to influence Zuckerberg's behaviour. "If he is only a communications person, [Clegg’s] reputation will dive even further," Langham warned. CommsCo, which specialises in tech start-ups and challenger brands, understands the entrepreneurial spirit that spawned Facebook and other Silicon Valley giants in the mid-2000s. Director Jennifer Reid said that as the business scaled into a global juggernaut, it has become obvious that Facebook’s current leadership is incapable of dealing with the complexities of today’s digital landscape. Reid said Facebook’s top brass are behaving "irresponsibly" and displaying a "lack of control and transparency", culminating in a series of global scandals in the past 18 months. "In order not to lose its two billion user base to a more digitally savvy competitor that can demonstrate it won’t pursue profits irrespective of consequences, Facebook users need to know that the company is being led by an experienced and proactive leader," Reid said. 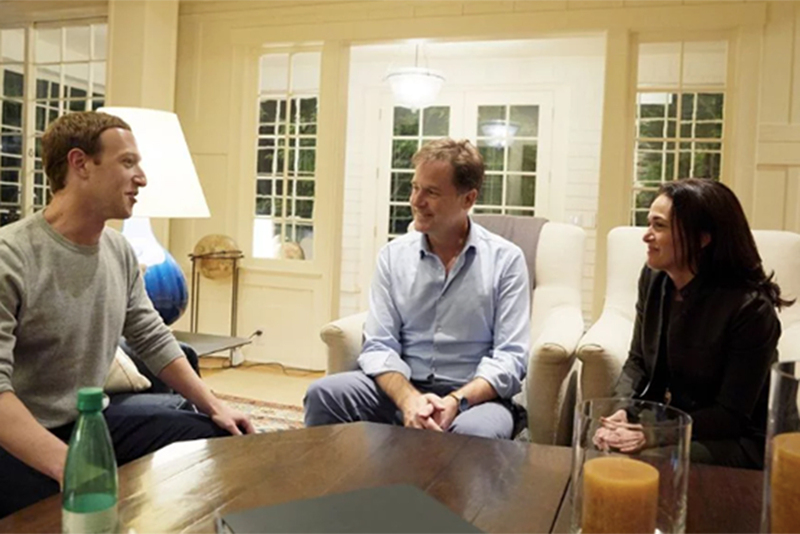 "As Nick Clegg wipes clean his Facebook profile of Brexit and Lib Dem posts, he should, from both a PR and operational point of view, recommend that Mark Zuckerberg does what so many Facebook investors are demanding, which is to step down as chairman." Calls for Zuckerberg to relinquish the chair and focus solely on his day-to-day role of chief executive have intensified in the wake of the lobbying scandal, but so far the Facebook founder remains defiant. One prominent voice who believes there should be a separation of the two roles is Brian Wieser, the senior research analyst for advertising at Pivotal Research Group. 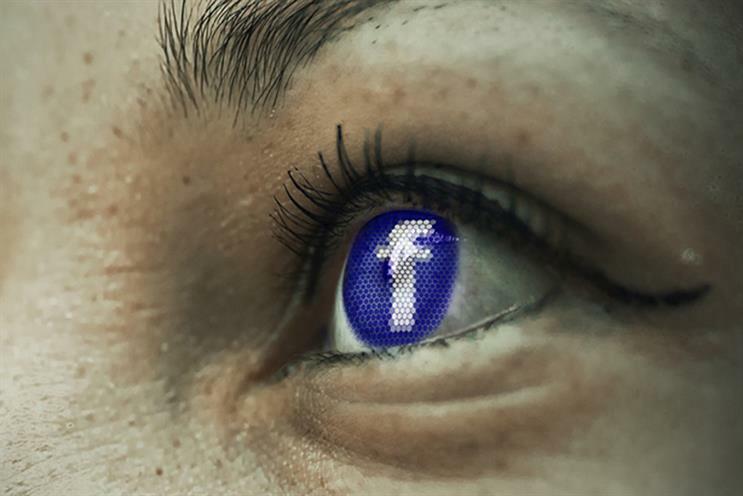 Wieser told PRWeek that there are many reasons why the separation of governance (chair) and management (CEO) is regarded as best practice, and believes Zuckerberg should have relinquished one of these roles "the day Facebook went public". He said Wall Street has started to turn on the previously teflon Facebook and there are "many more concerns among investors now versus weeks and months earlier". Wieser said Facebook "might be at a tipping point on leadership" and pointed to a Wall Street Journal article as an indicator. The article claimed that Zuckerberg is taking a more hands-on and "decisive" leadership approach, pressing senior executives to "make progress faster". Insiders tell the WSJ this has caused "turmoil at the top", with "a dozen senior or highly visible executives" resigning or leaving the business in 2018. Yesterday, PRWeek revealed that Facebook UK comms chief Anouska Ruane is leaving for a role at Tesla, although there is no suggestion that this is due to the turmoil in Menlo Park. According to the WSJ and other media outlets, Zuckerberg has made it clear that staff caught leaking information to the press would face the sack. PHA Group head of technology Nick Braund said the threat to fire employees who speak out has poured further fuel onto "a global PR disaster" and it's time for the company’s top brass to take full ownership of the crisis – something that Sandberg has done in response to Schrage’s internal memo. "One crucial downfall for the social media giant has been their inability to hold up their hands," Braund said. "Just three years ago, Zuckerberg was celebrated for his extraordinary success; now he is seen as entirely accountable for all the problems Facebook are having. It must be finally time to start accepting full responsibility." Foster agrees, saying that, as Facebook grows up, it needs to be confident and open in its approach to communications. "That means not threatening to fire its staff for speaking out or resorting to smear campaigns," he added. Wieser said the real challenge will arrive when advertisers are "shamed in a meaningful way" for spending on the platform. "Consumers don’t yet blame brands for the bad things that Facebook is associated with," he noted. 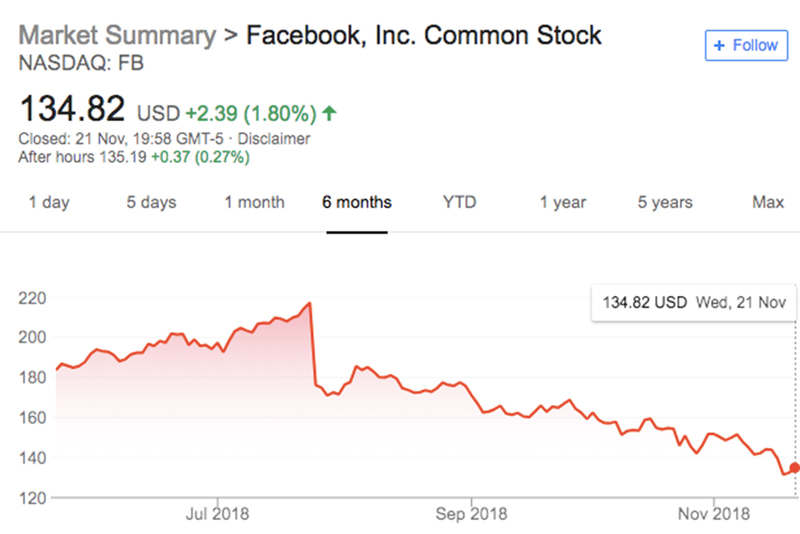 That may be so, but the recent plunge in stock price illustrates that Facebook’s ability to easily swat away criticism without commercial repercussions has diminished, or as Foster bluntly put it: "Recent events show the company is no longer untouchable." As various governments and regulators sharpen their knives for digital media titans, such as Facebook, and users increasingly spend less time on the platform, the road ahead is far from certain. Clegg’s first task may be firefighting the current PR malaise, but there are much bigger challenges that will test his negotiating skills, reputation and political goodwill in the months and years ahead.